Rory McIlroy is a Northern Irish golfer who was born on May 4, 1989. Game Changers With Kevin Frazier and The Tonight Show Starring Jimmy Fallon account for some of Rory McIlroy's recent TV credits. Rory McIlroy's Instagram account (@rorymcilroy) has a sizable audience with around 1.7 million followers. Rory McIlroy's recent posts to Instagram have gotten around 48,000 likes each. As of 2018, Rory McIlroy has contributed to about 2 TV shows. Some of the most recent Rory McIlroy TV appearances include Game Changers With Kevin Frazier and The Tonight Show Starring Jimmy Fallon. In 2015, Rory McIlroy appeared on Game Changers With Kevin Frazier. 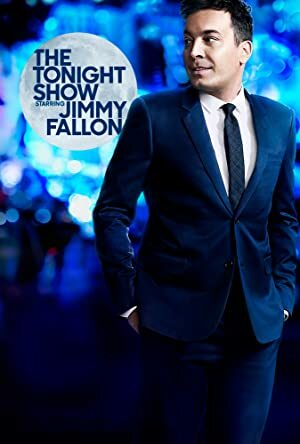 In 2014, Rory McIlroy was a guest on The Tonight Show Starring Jimmy Fallon. I hit a little white ball around a field sometimes! Rory McIlroy Instagram: Onwards and upwards.... thanks to all the fans for coming out to the course in Austin this week. Another great week in a great city! rorymcilroy Onwards and upwards.... thanks to all the fans for coming out to the course in Austin this week. Another great week in a great city! Rory McIlroy Instagram: Haven’t done a #speedytuesday post in a while. This dark side of the moon is one of my favourites! rorymcilroy Haven’t done a #speedytuesday post in a while. This dark side of the moon is one of my favourites! Rory McIlroy Instagram: Working on some green reading/visualization with @bfaxon today. Excited to get back on tour next week! rorymcilroy Working on some green reading/visualization with @bfaxon today. Excited to get back on tour next week!